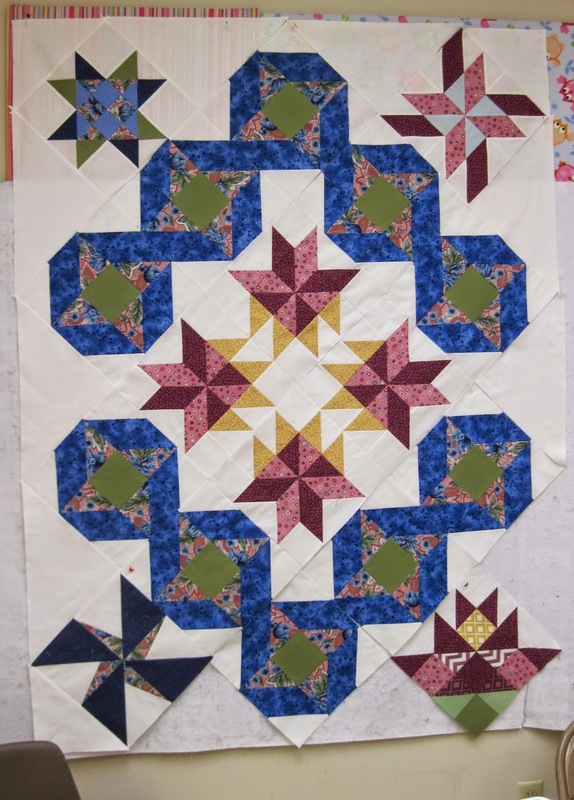 I met Monday night with one of the groups that is working on the StarLuna Sampler quilt. 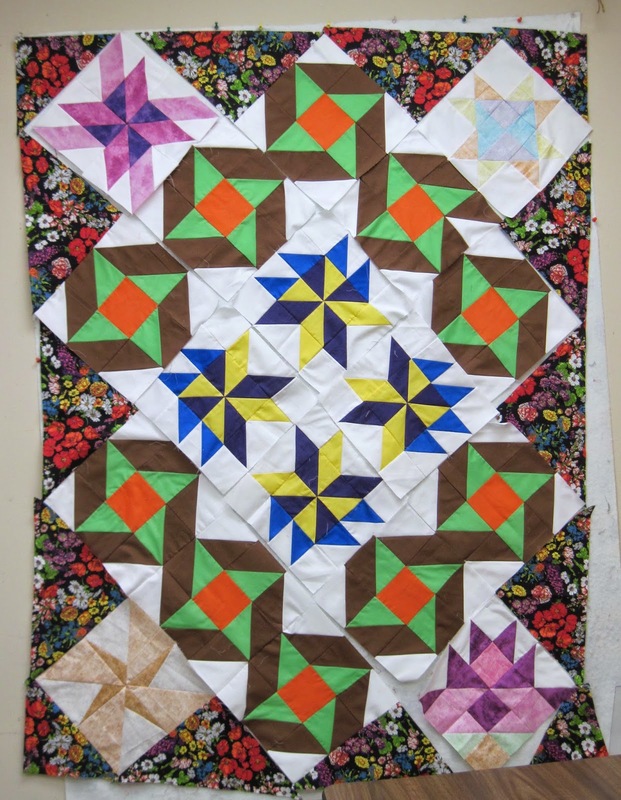 It was their last class, so they learned how to set their blocks on point, cut setting triangles and corner triangles, and sew it together in diagonal rows. Marilyn used fabrics from her stash for this beauty. Lora V. loves prints and lots of color. 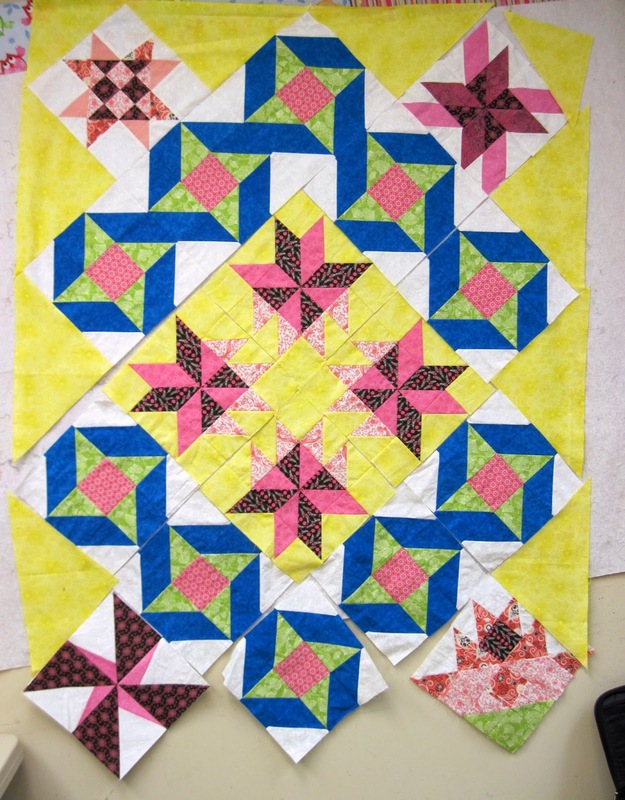 Most of them got several rows sewn together for a good start to their finished sampler quilt. Laura W. wasn't sure she liked her Friendship Ribbon blocks after she made them, but likes them better now that they are in their setting. Kelli said "I'm keeping this quilt...it's mine!" It will definitely be a happy one to snuggle under! This club will move on to the newest sampler, Ribbon Quartz, in June. There are openings in this club if you are interested! 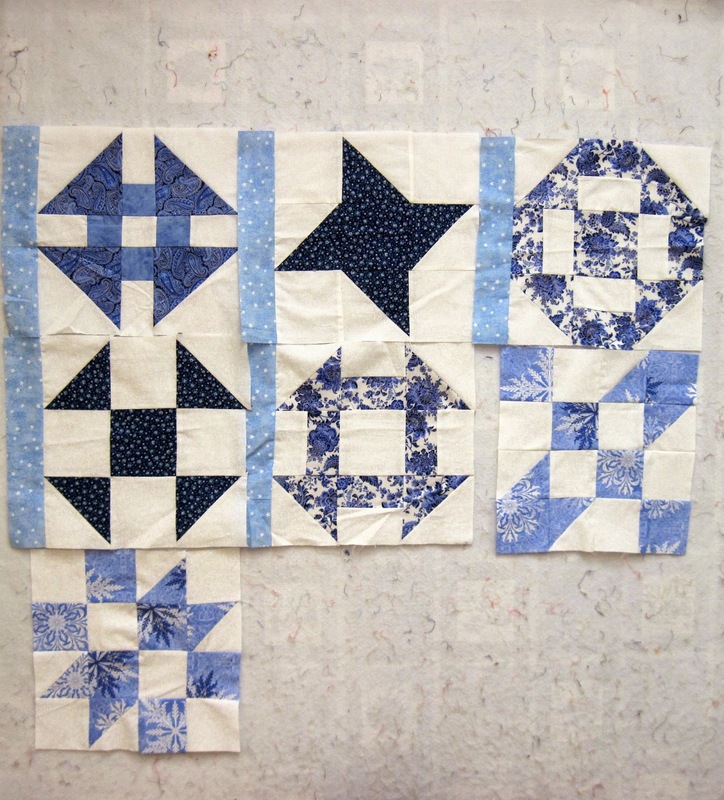 Christine couldn't come to her Sunbonnet Sue Sampler Club last week, so she came Monday night and worked on her blocks. 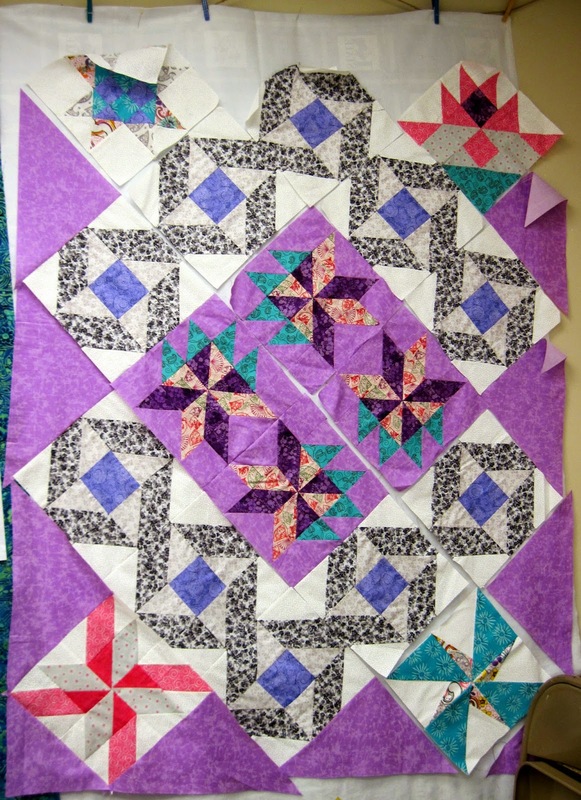 She has 2 more classes to go for a finshed quilt, but has started to add the sashings so it will go together quickly. 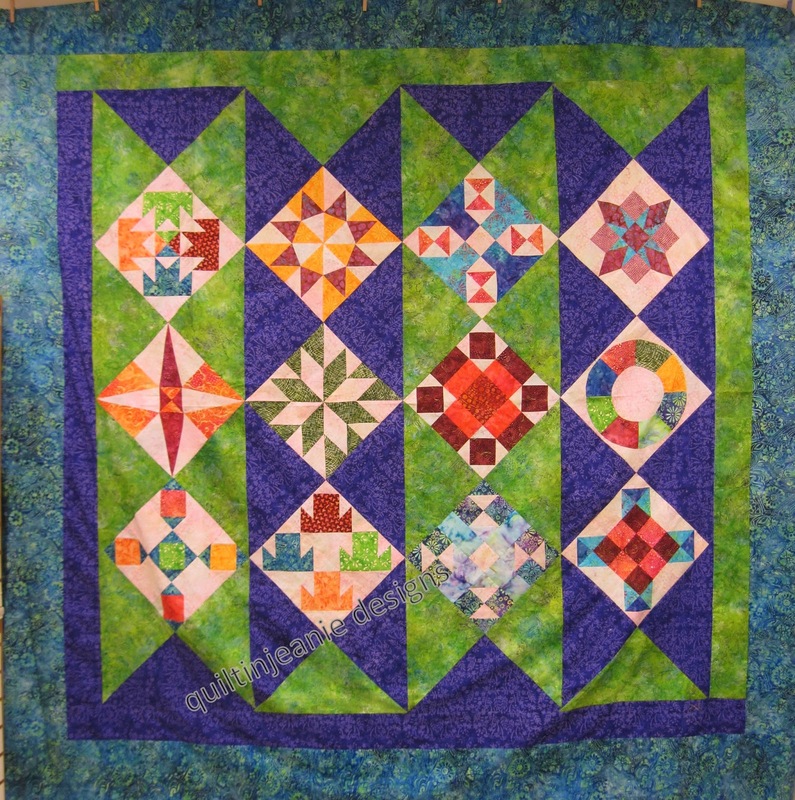 It's fun to see these quilters grow and get a little closer to finishing their quilts!